For the last four years, Melissa DeSipio, a South Philadelphia health professional, has served as a volunteer for Mommy’s Light. The Exton-based nonprofit is committed to bringing joy and comfort to children and teens who have lost their mothers. Children enrolled in the program receive long-term tradition fulfillment services, based on the activity or tradition they shared with mom. Most are simple, such as preparing baked goods, a trip to the zoo, or planting flowers. Supported by a Mommy’s Light volunteer, each child receives a personalized tradition fulfillment package every year. Packages are filled with items needed to fulfill a child’s tradition, complete with “enhancers”— seasonal knickknacks, novelty items, and homemade sweets. “It sounds funny to say, but we include stuff that a mom would think of,” explained DeSipio. She organizes tradition fulfillments for a handful of families in the Philadelphia area. Founded in 1997 by Mary Murphy, a terminally ill mother who sought to keep intact the traditions she shared with her ten-year-old son, Mommy’s Light was launched in the dining room of Mary’s friend, Laura Munts. “I said, ‘Mary, I have no idea how to start a nonprofit, but I’ll buy a book.’ We picked October 31st to incorporate because Mary loved holidays,” recalled Munts, the President of the board of directors and former Executive Director of Mommy’s Light. In its 15-year history, Mommy’s Light has expanded beyond the Delaware Valley, using technology to serve children in many states. The organization relies on 80 ongoing volunteers like DeSipio who provide tradition fulfillment services. Mommy’s Light is also piloting Daddy’s Light — a spinoff that provides similar services for children who have lost their fathers. It recently partnered with DeSean Jackson and the Philadelphia Eagles. The Eagles donated game-day experiences for eight bereaved families, and Jackson, who lost his father in 2009, meets with each family to swap tradition stories. According to Mommy’s Light, 2 million children in the United States have lost a parent. To reach more of them, the organization is developing a web engagement tool that could be widely used and replicated. 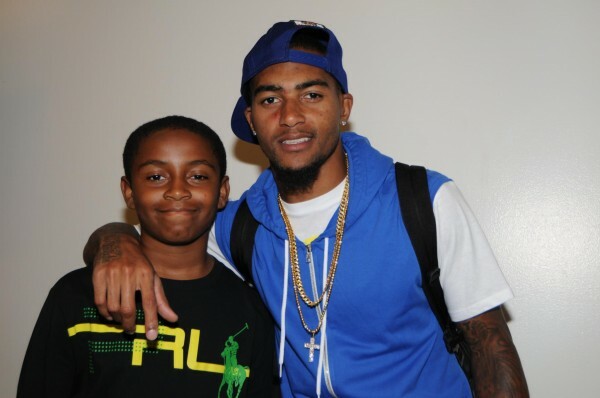 A testing phase is planned for 2013; and, DeSean Jackson has committed to continue his work with the Daddy’s Light Program during the 2013 football season. I AS A MOTHER OF A MURDERED SON[only child], AND HAVE A NON PROFIT ORGANIZATION CALLED NASHVILLE PEACEMAKERS, WITH A PROGRAM UNDER IT CALLED M.O.M. [mothers over murder] HERE IN NASHVILLE TN, WOULD LOVE TO START A CHAPTER HERE FOR THE YOUNG MEN WHO HAVE LOST THEIR FATHERS TO GUN VIOLENCE OR GANGS………..WEB SITE IS…nashvillepeacemakers.org……please contact me….PEACE!!! !